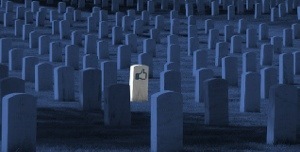 What Happens to our Facebook Page when We Die? Facebook has had to face the death question 30 million times since its inception. Yes, 30 million users have died worldwide. Closer to home, 580,000 users died last year in the United States as compared to three million worldwide. Those statistics are being given out by sources close to Facebook. Unbeknownst to many of us, Facebook actually has guidelines for pages belonging to the deceased. There is a whole story about it that you will find fascinating if you just press here. The reason why this topic is so interesting is because a social media platform like Facebook has its own postmortem rituals much like real life. Wait a minute, did I say that? Facebook to many people is real life or to many better than the life they have to face every day when they are offline. Facebook suggests turning the deceased person’s page belonging into a memorial where friends and family can visit almost like a virtual cemetery. Spooky, yes, but to love ones, an absolute necessity so they can talk to the person’s community during the mourning period. I can remember when a friend of mine from Miami committed suicide. I stared at his page for hours. It was my separation therapy. It lasted for months. I couldn’t get over that this stunning 40-year old hunk blew his brains out. I needed to understand how he could have been so troubled when to the outside world he was the vision of a carefree, highly-stylized creature that most men were probably jealous of. Billy always had a gorgeous gal on his arm, or was scooting around South Beach on his Vespa, tanning himself at the pool or showing off his adorable young daughter to all the neighbors. I would rummage through his photos for hours looking for clues. Nothing. 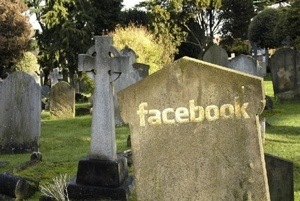 Facebook wants to be a little protective of the deceased. They want to keep everything very respectful and start setting standards. There are a lot of things to consider. Such as, who has access to the dead user’s profile? Should the page be deactivated? Can the page accept new friends? Does the deceased remain in the search engine? Can you still like the page? Is Facebook allowed to place ads on the page? This entry was posted in digital, senior lifestyle, tech and tagged death, facebook, virtual cemetery? by loiswhitman. Bookmark the permalink. fascinating topic…sorry about your friend too…and i have had a few friends pass away recently and have stared at their FB pages and photos…wondering what will happen to their ‘scrapbook’…sometimes that’s what a Wall appears to be…an electronic scrapbook…thanks for sharing Lois. Maybe not such a good choice for V day? Lois, it is an important topic. Thank you for personalizing it; your personalized blog posts are my favorites. And like ace, I’m also sorry for your loss. I hope you’ll pardon my self-promotion, but…I covered this topic long before Mashable (in 2010) and much more extensively in this story at Techlicious.com: http://www.techlicious.com/how-to/what-happens-to-your-online-accounts-when-you-die/ …and I hope you’ll read it and find it both informative and interesting, too. We went for Ceviche, delicious and you?